The Aspaas ranch borders the Old Fort on the south. The family home is an historic five-bedroom officers’ quarters moved from the military fort between 1894-1895. Aspaas family members have lived in Southwest Colorado since the 1870s. 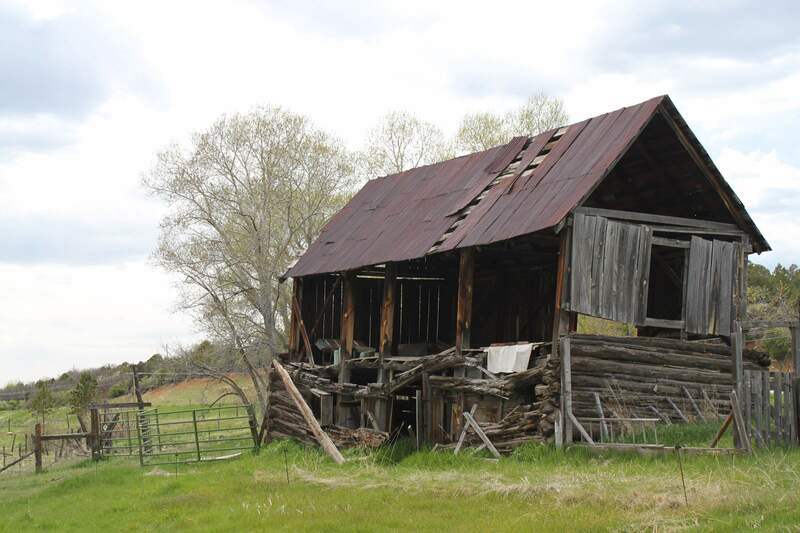 Still standing but listing with age, the Aspaas family’s log cribbed barn requires stabilization. 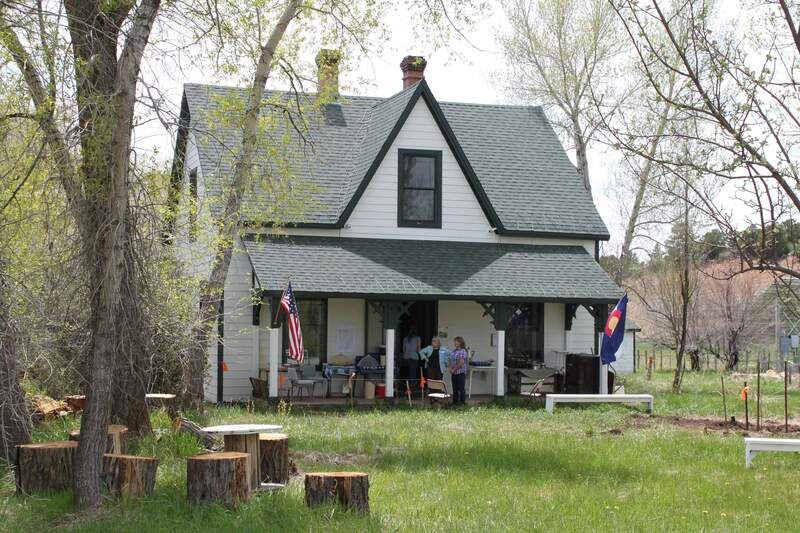 Helen Ruth Aspaas is applying to add her property to the La Plata County Register of Historic Places. The Aspaas ranch along the La Plata River includes seven peeled ponderosas. 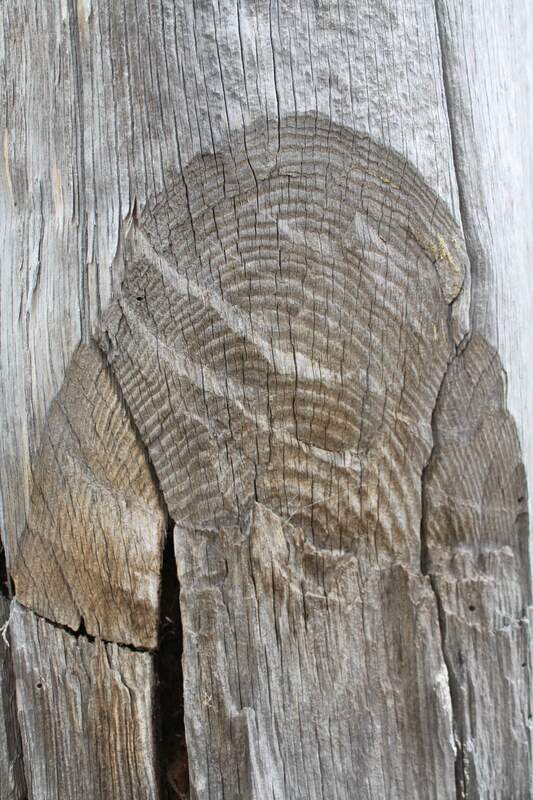 Ax marks show how the tree was peeled in the 19th century. Spring-fed ponds on the Aspaas ranch contribute to an abundance of wildlife and natural flora and fauna. 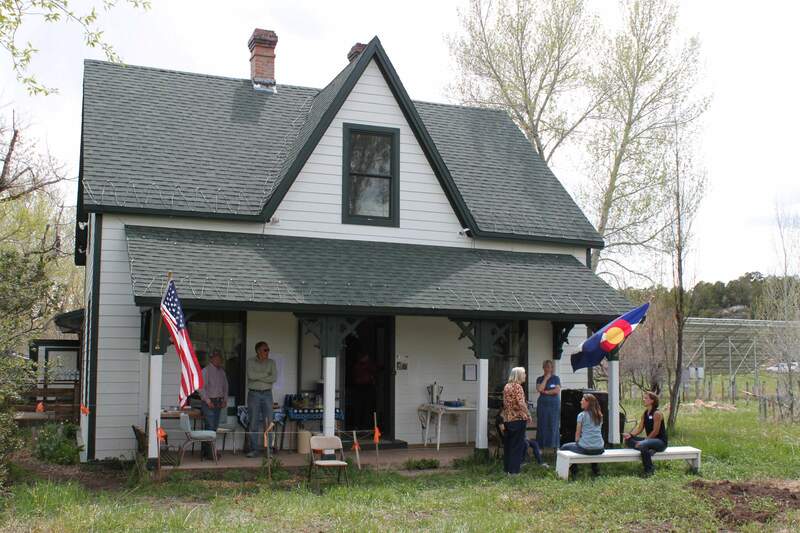 The 140-acre original homestead has a conservation easement held by La Plata Open Space Conservancy. The Aspaas homestead includes peeled ponderosa pine trees probably modified by Ute Indian women who may have been visiting their children at the Indian School at Fort Lewis, which is now the Old Fort. 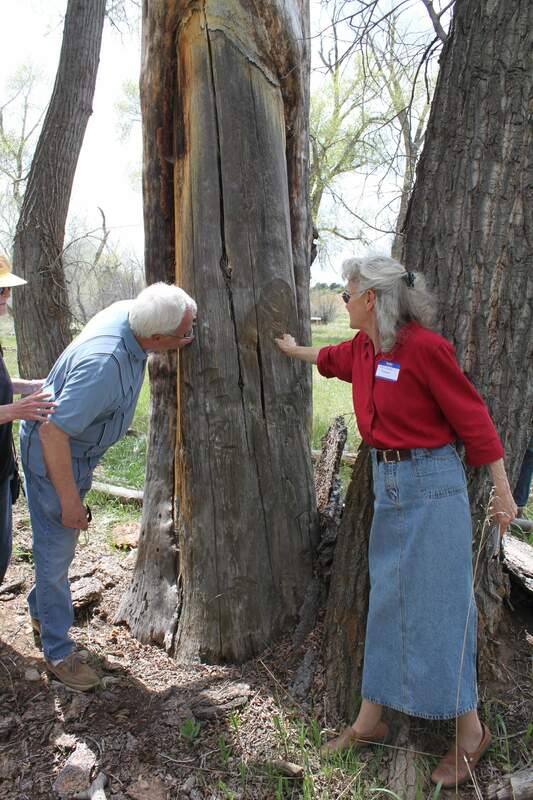 Helen Ruth Aspaas shows where the tree had been peeled and the telltale signs of ax marks. Since a Southern Ute quarter section or 160 acres borders the Aspaas ranch to the south, Ute residents may also have practiced cultural peeling. 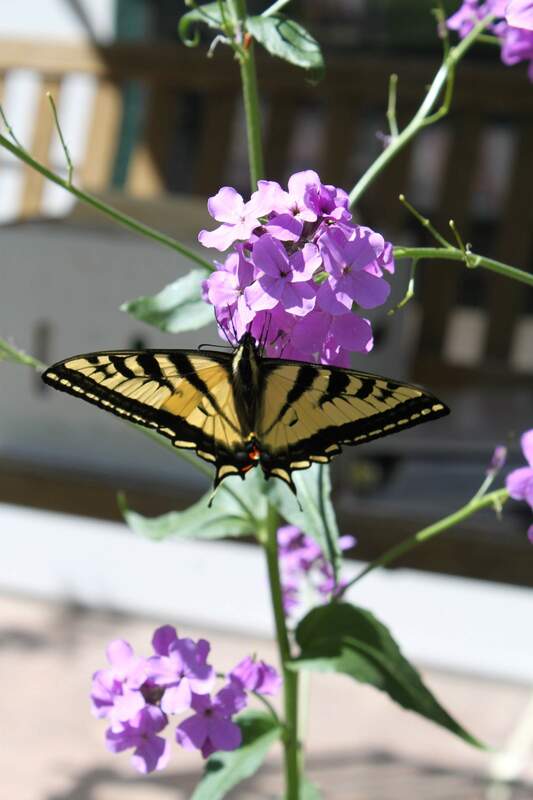 A swallowtail butterfly visits one of many flowerbeds that border the Aspaas house. 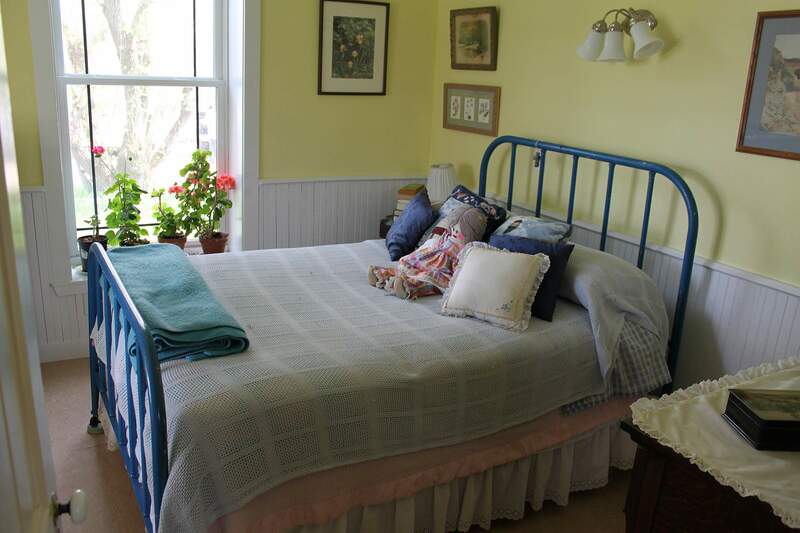 This front bedroom originally served as the Breen Post Office. One of Helen Ruth Aspaas’ ancestors was the postmistress, and she assisted other immigrants write letters to their relatives in Europe. Born and raised in La Plata County, Helen Ruth Aspaas traveled the world as a geographer with an expertise in Africa. She has returned to the original family homestead along the La Plata River. At the beginning of La Plata County history, even before Colorado statehood in 1876, the Hans Aspaas family was here. Over the next 140 years, family members moved across the county. One son founded the town of Ignacio. Another son was almost jailed for cattle theft. Helen Ruth Aspaas, a great, great descendant, still lives on the 140-acre family homestead beautifully bisected by the La Plata River. This is the story of how the landscape shaped these Norwegian immigrants and how the immigrants’ children re-shaped the landscape. Like many Europeans coming to America in the 19th century, there were push/pull factors. The pull factor for Hans Aspaas included opportunities on the Western frontier at mining camps and military posts. The push factor was the embarrassing fact of having served a prison term in Norway for embezzlement. So like millions of other immigrants, he came West to reinvent himself and to grow up with the country. HHHHans carried the mail from Del Norte in 70-pound packs on skis over Stony Pass. He and his wife became one of the first families in Silverton in 1874. But deep snows and bitter cold drew them south to the Animas Valley where they homesteaded in the spring of 1875 and drifted in and out of Animas City. Hans tried placer mining near Parrott City in the La Plata Mountains. He ran a stage stop named Flag Station in Hotel Draw between Hermosa and Rico. In the decade 1881-1891, he moved his wife and growing family of three sons to the newly established Fort Lewis on “the Dryside” of the county. 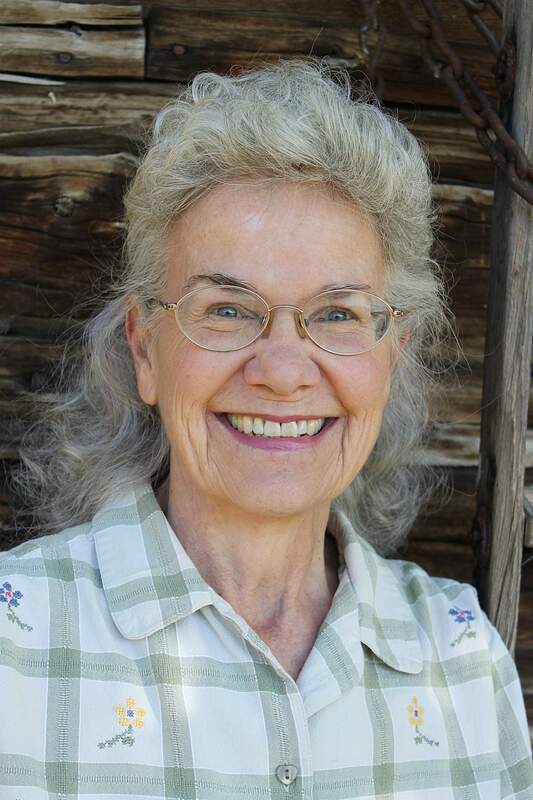 “The irony is that Hans Sr. kept the books for Fort Lewis even though he’d been in prison,” says descendant Helen Ruth Aspaas, who lives on the family’s homestead just southeast of the Old Fort. She resides in an original five-bedroom officer’s quarters in its traditional white and green paint colors moved from the military post. A front bedroom once served as the first post office for Breen. Hans Sr.’s wife, Annette, not only sorted mail, “she could read the letters and write responses for other immigrant families,” says Helen Ruth. 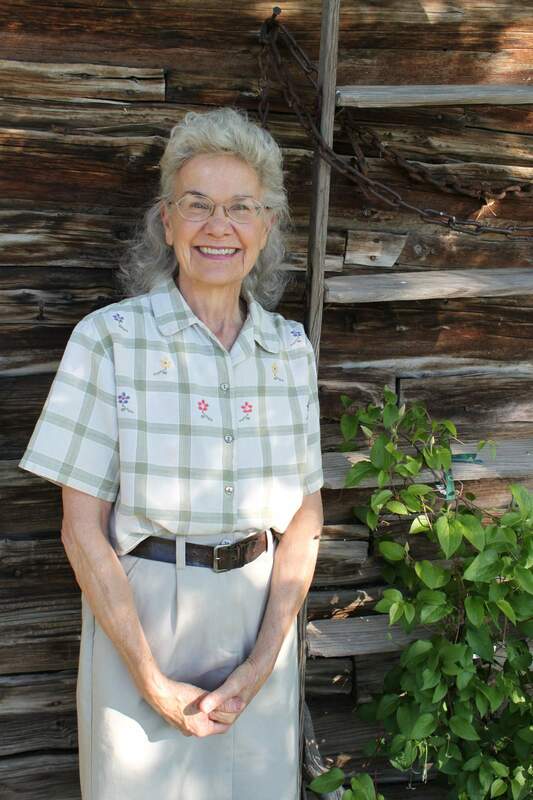 Sitting on Helen Ruth’s front porch, watching butterflies sample nectar from her flower gardens, we drink tea and talk about the past and what it’s like to have such deep roots in La Plata County soil. The third son of Hans Sr., named Sverre, ran a butcher shop in Hesperus and sought to add to his meat selection by “borrowing” a few beeves. He was arrested. Taken toward jail, he fled on horseback and arrived in San Francisco. Good escape but bad timing. His brother, Hans Jr., was running for sheriff on the Democratic ticket. The transgressions of Sverre ruined Hans Jr.’s chances. “Hans Jr. was very enterprising, but physical labor was not his thing,” Helen Ruth says. “The Ute Agency was there, but no other businesses existed, so he acquired properties and established the town of Ignacio between 1907-1913.” Later, he became mayor and his wife, Sadie Price, a Quaker teacher from Kansas who worked at the Fort Lewis Indian School, served as Ignacio postmistress. Generations later, Helen Ruth graduated from Fort Lewis College and began fieldwork for her Ph.D. in geography at the University of Colorado-Boulder. She traveled to Kenya and Uganda and did development work in South Africa and Mali. Though she traveled the world as a geographer and wrote about rural African market women and micro-entrepreneurship, her heart remained on the family ranch. Her teaching career, which started in Shiprock, New Mexico, ended at Virginia Commonwealth University with the academic rank of associate professor of geography. Always, she came home in summers. Retired, she’s here to stay. HHHFamily members didn’t leave wills, so it took years for Helen Ruth to acquire the original ranch. 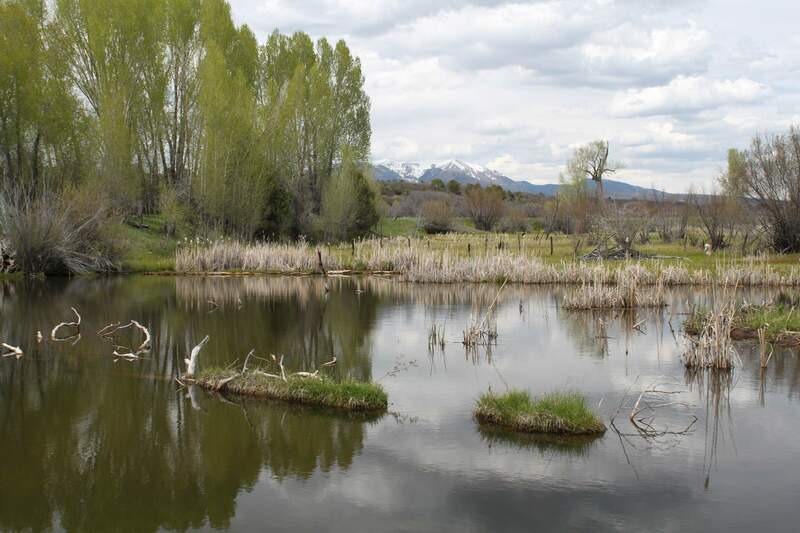 Now that she’s done so, she’s placed it under a comprehensive conservation easement with La Plata Open Space Conservancy so that her ponds, the La Plata River which flows through her property, her springs and her natural meadows will always remain untouched. She hears the trill of redwing blackbirds, sees tracks of wild turkeys, mountain lions, coyotes and the occasional black bear. A resident elk herd drifts across her land. She bristles at the term “the Dryside.” Her family ranch has plenty of water and wildlife to prove it. “What the Ute Indians would have seen a century ago is what I still see. I have ponderosa pines, narrow leaf cottonwoods and long, thick grass,” she says with understandable pride. Of particular note are the seven ponderosa pines on her property. They are peeled ponderosas, an ancient Ute female tradition of removing the bark face down to roll the healthy, nutritious cambium layer into edible strips. Few peeled pines, or culturally modified trees, still exist on private land. Along the river bottoms on the Aspaas ranch, they remain untouched. After decades away, Helen Ruth is finally, permanently home, volunteering around the county, working at the Animas Museum, sorting family photos, history and files. There’s an Aspaas Lake near Electra Lake where her relative built the first Stagecoach Dam on the lake’s north end. Other relatives worked as Indian agents for the Jicarilla Apache at Dulce, New Mexico, and for the Tohono O’Odom in southern Arizona. There are even Navajos with the Aspaas name living south of the San Juan River on the way to Gallup. But that’s another story. The Aspaas homestead and ranch is up to date. A large solar array of 13.5 kilowatts gleans power from the sun. The former officer’s quarters shines with its country kitchen. Oak flooring in the library was recycled from a gym floor at the Old Fort. Homemade curtains billow in afternoon breezes and Colorado columbines thrive beside the house. With numerous flowers, gardens and wildlife, she’s a steward of the land. At 64, Helen Ruth Aspaas may be retired, but there’s plenty to do. She’s preparing paperwork to list her property on the La Plata County Register of Historic Places. 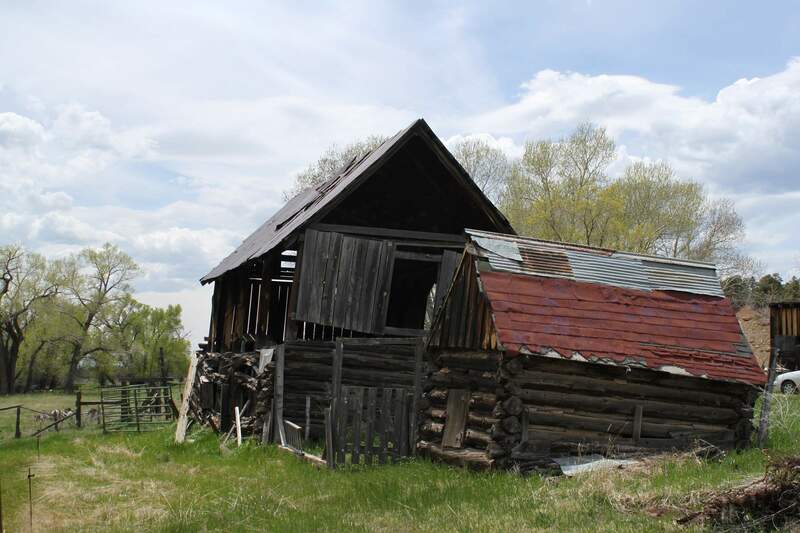 The original 1890s barn requires stabilization. The chicken house and cellar need attention. The vintage Jeep her mother bought her father after World War II has sat idle for years. She’s thinking about a landscape management plan, a migratory bird count and how to preserve the Aspaas family legacy. Hans Aspaas Sr. would be proud. Struggling over Stony Pass with 70-pound mail packs the winter of 1874-1875, he earned his family a rightful place in La Plata County and Colorado history. Now, over a century later, those family traditions continue. Just ask Helen Ruth.